Time: Tuesdays, 3 P.M.－5 P.M., or 7P.M.－9P.M., from April 10 through June 19, 1962. Place: International House of Japan. 2 Toriizaka-machi, Azabu, Minato-ku, Tokyo, Tel: 401-9151. 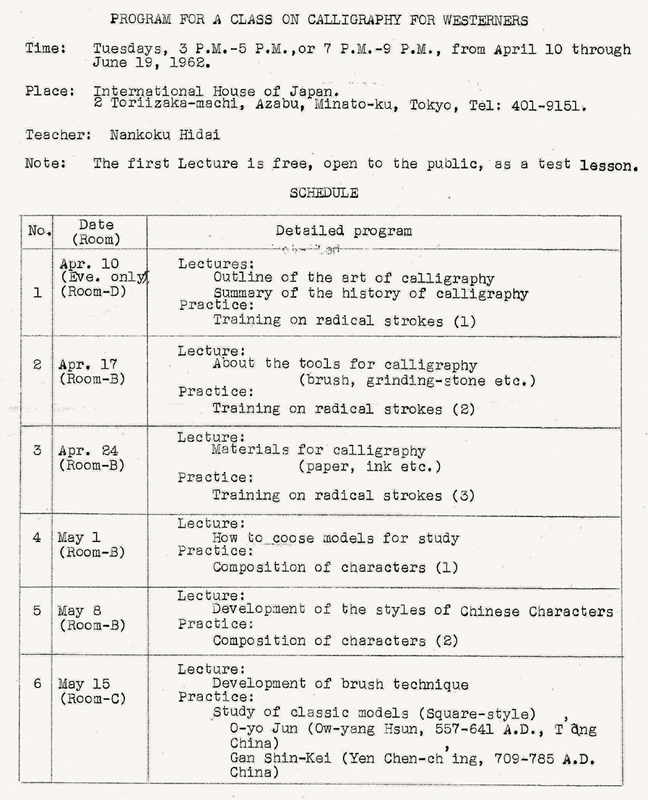 Notes: The first Lecture is free, open to the public, as a test lesson. (1)	Textbook, paper, brushes, ink etc. may be purchased in class at cost prices. (2)	Special tools will be lent by instructor. Copyright © 2016 Tenrai Shoin All Rights Reserved.